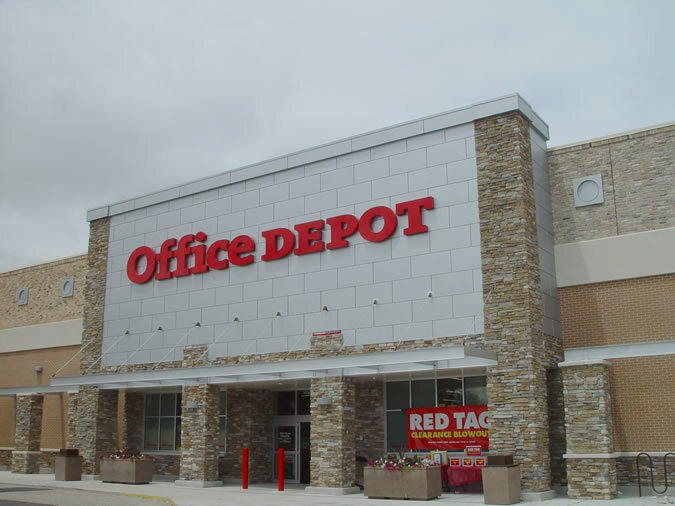 The new Office Depot Store in West Allis, WI features custom sized Dri-design Architectural Wall Panels in .080" aluminum. The Dri-design Architectural Panels are painted custom silver selected by the architect. 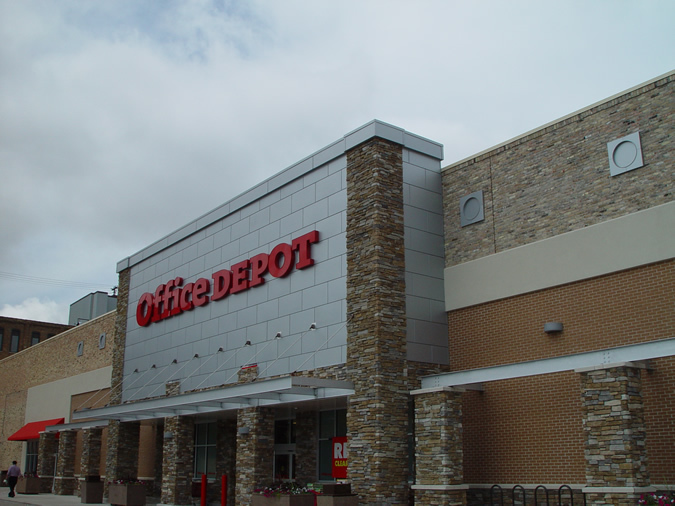 Panels are installed in a running-bond pattern to maximize the joinery effect and add further detail and attractiveness to the store entrance facade. 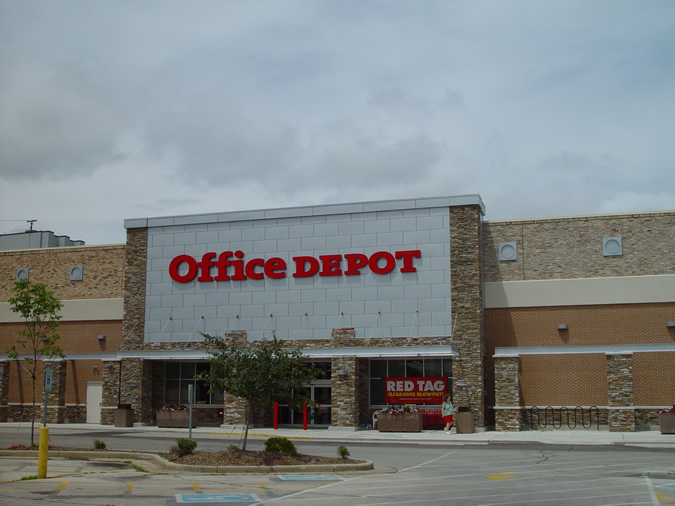 The Dri-design panels also found within the stores entry vestibule to emphasize the metallic appearance upon entering the new store.